File upload limit 10 GB – 1 byte (10,737,418,239 bytes) per file. In classic mode, upload methods other than drag and drop have a 2 GB limit. 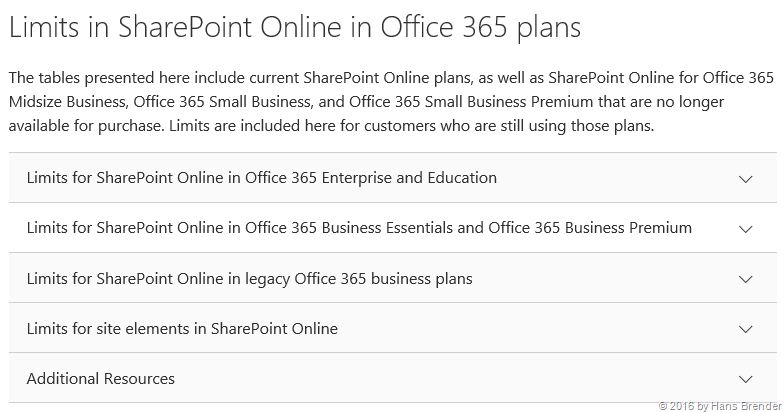 OneDrive for Business restrictions and limits To learn more about restrictions and limits when using the OneDrive for Business (Groove.exe) sync client, see Restrictions and limitations when you sync SharePoint libraries to your computer through OneDrive for Business. To learn more about restrictions and limits when using the OneDrive for Business Next Generation (OneDrive.exe) sync client, see Restrictions and limitations when you sync OneDrive for Business libraries through OneDrive for Business. You will see software boundaries for SharePoint Online, has nothing to do with syncing. If you use Groove.exe or OneDrive.exe as a sycn client you will have additional limits, you have to be aware.